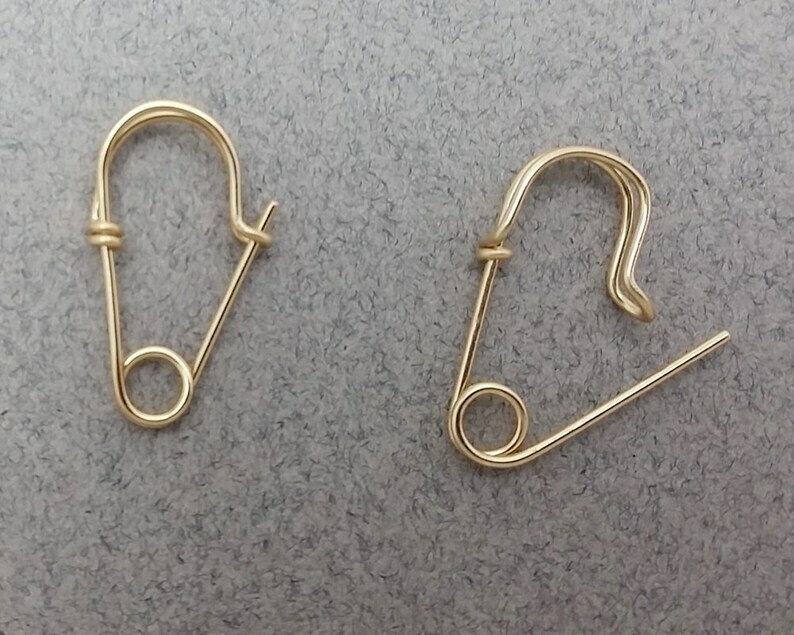 This listing is for the 14k gold filled safety pin earrings I make. These earrings are made in a slightly thinner gauge and measure only 3/4 of an inch long (about 19mm). They would work well for smaller piercings or for second holes. The ends are blunted for comfort and ease in placement. These also come in sterling silver, 14k rose gold filled and solid 14k gold. You may choose to purchase one single earring rather than a pair by using the drop down menu. Fast shipping and the earrings are great quality, really beautiful!